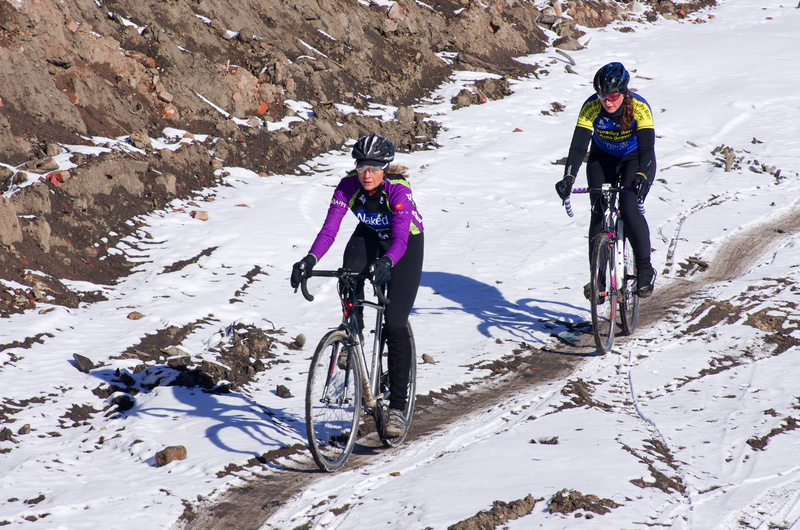 From a skinsuit to multiple layers in a matter of a week… winter struck, but that meant one thing: awesome cyclocross conditions! For some reason I like racing in the cold, snow, and ice. It requires a different skill set and finesse that typical grassy, dry dirt, whatever cross courses don’t. 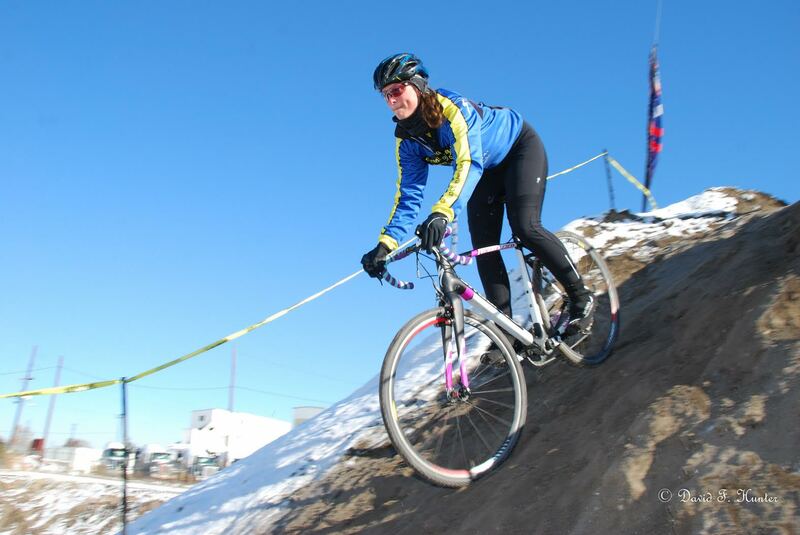 So I layered up and headed out to Mile High Urban CX Chaos (MUCCY) on the 16th to try my hand at the conditions. MUCCY is held near downtown Denver on an urban construction site, so the course is pretty much as far as you can get away from the manicured grass courses that are typical. Think gravel piles, mountains of dirt, rock gardens, numerous “barriers that look to be foundation cement, barriers made of rocks and tires, etc. Nearly everyone after the pre-ride had decided that if there was a course to hurt us this year, it was this course. I had my fears, but I trusted my skills, though you can’t predict what will happen around you in a cross race. 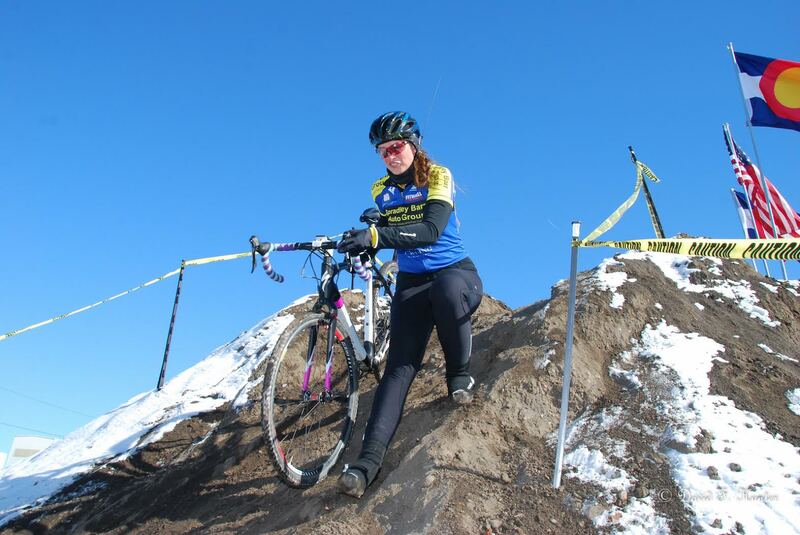 I took a second row line up on the snow packed ice in the Women’s B category. If I was smart, I would’ve squeezed in the front row, but I guess I’m conditioned to not aim for the front. From the start I was passing people, very unusual! People were taking the first lap and corners slow, which was a good thing, as I think we were all feeling out the course conditions (it was about 20 degrees but the sunshine was melting unshaded areas so the course was rapidly changing). I did a lot more running on the first lap than I wanted to because of traffic. Including the Hill of Death, which is decidedly far scarier to walk down than ride down, but I couldn’t ride it without running over people in front of me. I felt confident in the first lap and got into a rhythm. I passed one girl, which made me smile because I haven’t had that chance too often this year! The second lap I rode all the ins and outs of the drainage ditch flawlessly! The sand pits were thawing so alas I couldn’t stay on the bike for the sand, but I felt ok with the running I had to do. I realized that if I rode a mountain bike I wouldn’t have to come off the bike nearly as much for a lot of the “barriers” and course obstacles. I had been passed by a gal on a mountain bike in my first lap, and I was envious! Probably the only course of the year where a mountain bike was a clear advantage! On the second lap I caught Gayle, who was having leg warmer vs. bike issues. We cat-and-moused until I got around her for the rest of the second lap. On the start/finish straight for the third and final lap she whizzed past me as we went into the corners on the pavement (you could tell who races and who doesn’t race crits in this moment… hint, I’m the one who doesn’t race crits and doesn’t like to corner around other people). I stuck to her wheel as we entered the snowy grassy ditch, determined to not give this one up, and I knew Nina was coming up behind us as well. I got around Gayle again in the ditches and held them off through the sand and long pipe barrier section (completely rideable on a mountain bike… dammit). Nailed the Hill of Death again and just kept pushing myself to stay in front. On the second lap I had chosen some different lines which had caused me to fumble here and there, so I told myself to stick to the lines I knew worked, and it paid off… as I entered the final pavement (well, snow covered pavement!) corner and straight, I had a big gap, but I still pushed to make sure it would stick in case I went down randomly. Holy crap, I placed 7th out of 23! NOT LAST PLACE. TOP TEN. BOO-YAH. I stared at the results list longer than most people trying to comprehend that I was 7th, not 23rd. 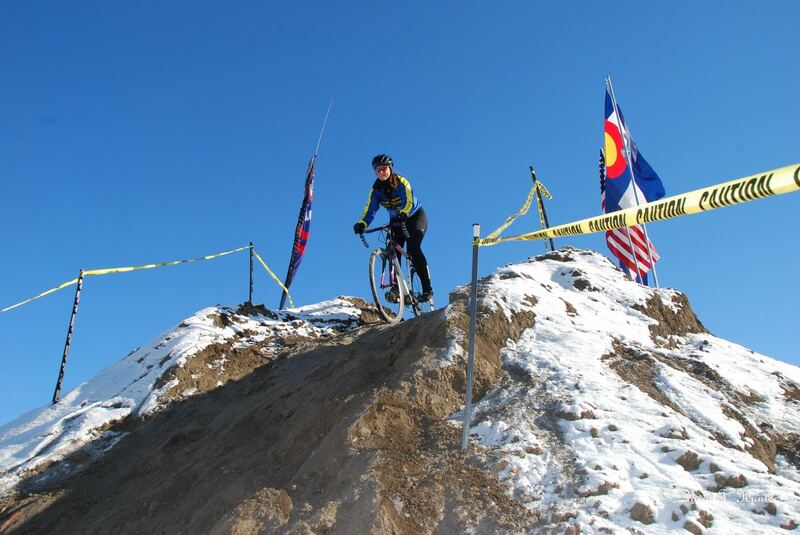 Thank goodness for courses that favor a mountain biker, along with some nice winter conditions! A nice highlight for my 2014 cyclocross season 😀 My earlier hesitation about the course had disappeared, and I really enjoyed it during the race and didn’t find it nearly as scary as I did during my pre-ride. I ran 35psi in my tires at the race, and didn’t have issues with pinch flats in the rock garden, or when I rode over two of the rock obstacle barrier things, so that was reassuring that maybe, just maybe I could start running a slightly lower tire pressure (40psi is my standard). I also had great traction on a very steep climb on each lap. Next postIt’s that time again… 2015 training!